This year is bearing witness to a welcome shift in award show performances and speeches, with many celebrities and artists using their brief minutes on stage to create powerful commentary on social issues plaguing the most marginalized. The 2018 Oscars was no different. 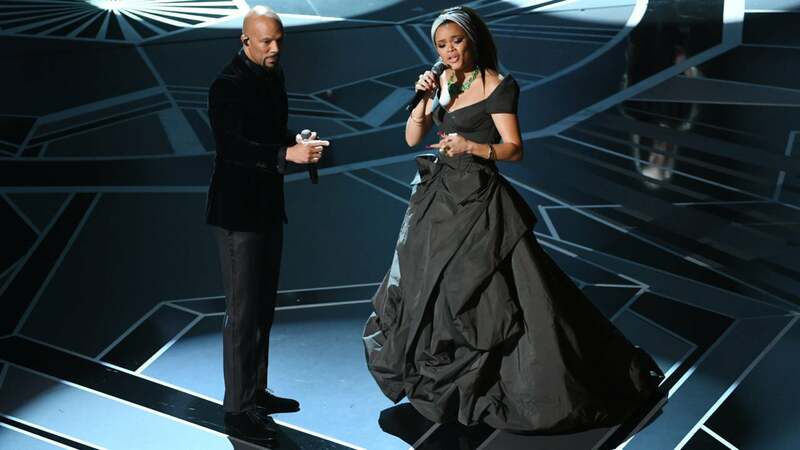 In a powerful performance Sunday night, singer Andra Day and rapper Common used their moment to shine the light on 10 activists who have made it their life’s work to stand up for something. Performing their Academy Award-nominated single “Stand Up For Something” from the 2017 film Marshall, Day and Common created an appropriate and powerful moment that married art with activism. One of those activists was Patrisse Cullors, co-founder of Black Lives Matter and author of the new book, When They Call You A Terrorist. Other familiar faces included #MeToo creator Tarana Burke, author and trans activist Janet Mock, Planned Parenthood Action Fund’s Cecile Richards, Bryan Stevenson of the Equal Justice Initiative, Alice Brown Otter from Standing Rock Youth Council, ThinkFoodGroup’s José Andrés, author Bana Alabed, Nicole Hockley of Sandy Hook Promise and Dolores Huerta of the Dolores Huerta Foundation. According to Variety, Day and Common even contacted each activists themselves to create a call of action through art.